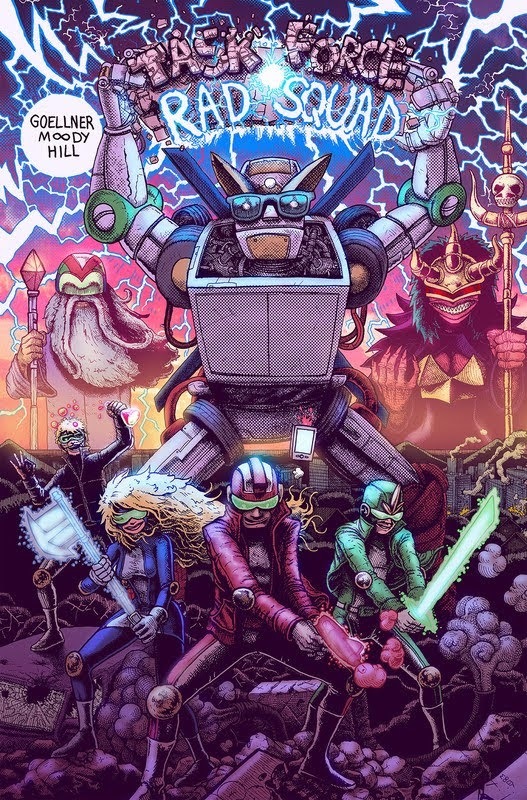 Task Force Rad Squad #1 is 32 pages of full-color calamity that introduces readers to three teens with rad-ditude, their potion-addled new „mentor“ and the weary AI known as Ph.R.A.N.C.I.S. Powered by the specious cosmic tech of an extinct Space Wizard civilization, the team has inherited a universe of messes (not limited to evil birthday cakes) they rightfully resent having to mop up. But who knows? Maybe conquering adversity as a team will teach them the true meaning of friendship? Or maybe they’ll unlock the secret history of the universe, discover their place in existence and embrace their collective destiny as humanity’s one last shot at survival? Tagged cbz, comics, english, WHAT! WHAT! WHAT!. Bookmark the permalink.